Overall length, each knife: 7"
Sleek and savage, On Target's Red Guardian Throwing Knives hit the mark in both style and potency. This brutal bladed projectile trio is without question a force to be reckoned with, each knife boasting fluid aerodynamics, remarkable ease-of-use, and penetration and cutting power second to none. A chic two-tone finish adds visual distinctiveness and eye-catching allure. The blade edges, fuller and handle perimeter are radiant metallic red; the remainder, a clean, uncolored brushed stainless steel. Bold and unique, circular cutouts line the central fuller, affording improved balance and cool contrast. One-piece stainless steel construction renders each knife nigh-unbreakable and virtually corrosion-proof, while razor sharp double-edged spear point blades yield a bitter sting that rivals throwers price three and four times as high. 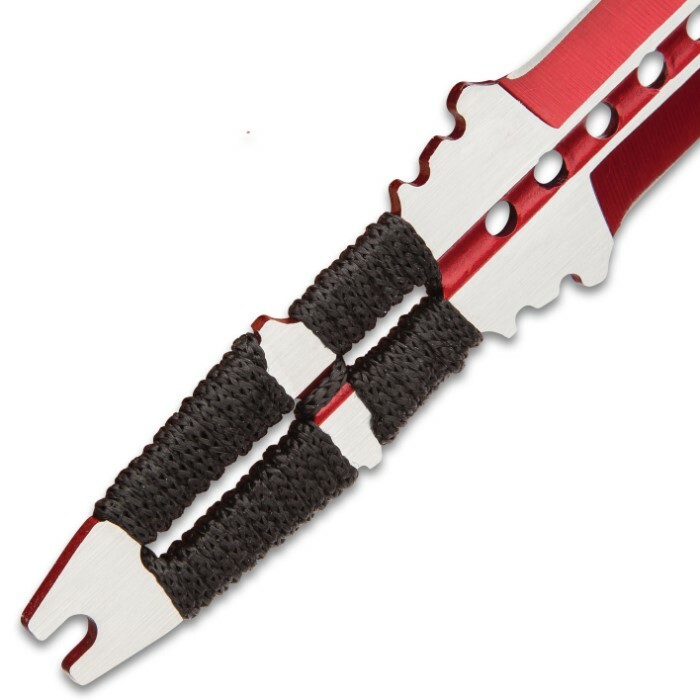 In addition to the Red Guardian knives' impeccable weight distribution, cord-wrapped handles provide a superb casting experience; this equals more precise accuracy, farther distances and greater velocity from every throw. Best of all, the Red Guardian set is affordable! 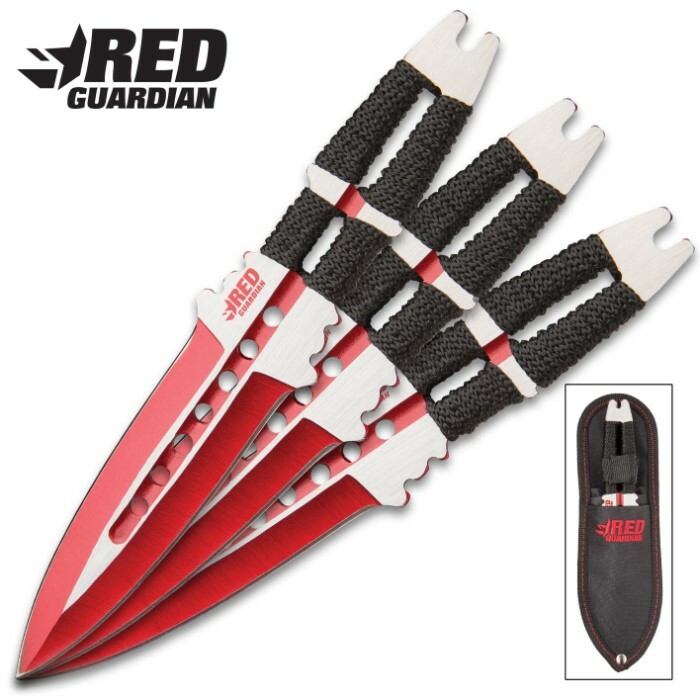 You won't find a better value on top quality throwing knives like these anywhere else, so add On Target's Red Guardian Throwing Knife Set to your arsenal today!